Northwest National Real Estate: Sale Pending! Western Montana Business! Sale Pending! Western Montana Business! Well established family owned business for sale. 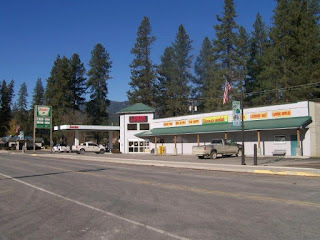 Located in western Montana this is a grocery store with produce, a deli, meat, state liquor store and a large inventory of beer and wine. This is a great business opportunity in a high recreational area. You can gas up your truck or car, purchase your hunting and fishing licences, buy your necessary food and drinks and head for Glacier National Park or Flathead Lake. This business is located off Interstate 90 near the Clark Fork and St. Regis rivers. The area is rich in wildlife, fishing, hunting and other outdoor activities. This store has been family owned for over 50 years!! Contact Judy Stang at Spangler Real Estate (406) 822-2316. Priced at $1,100,000.